Look Ma. No instructor! 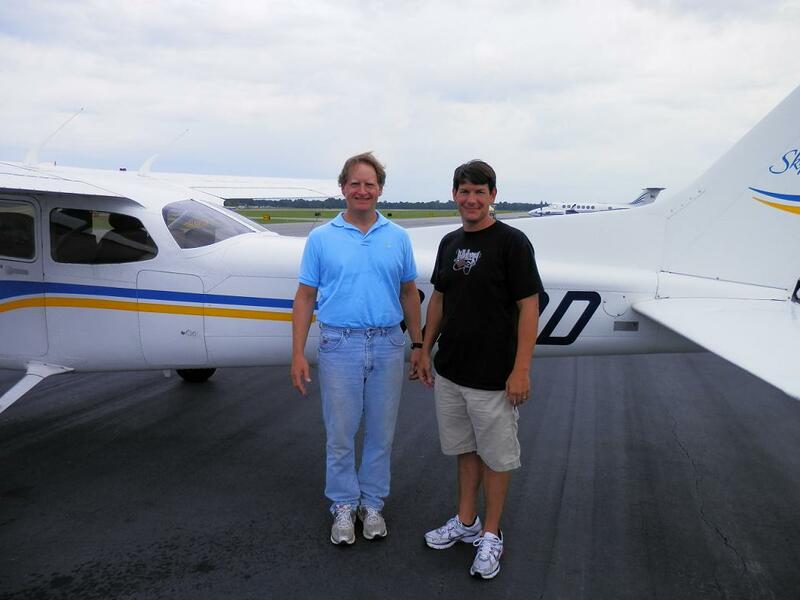 This picture was taken right after Richards (right) first flight alone. Congratulations on your first solo Richard! 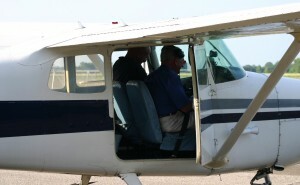 Jay Pettigrew (left) is Richards instructor. Congratulations to you too Jay! how to fly dirt-bikes!). Welcome Justin! We are excited to be working with you. Do you have something interesting to share? Please send your aviation pictures, stories, jokes, lessons, etc… to me at [email protected] If it’s safe, legal and doesn’t stretch the generally accepted moral boundaries too far, we’ll post it for the world to see! Technology is wonderful (when it works) and if you fly with some form of in-flight weather up or down link (this is the “XM Weather” type, not true radar) you certainly understand the value these new gadgets bring to the cockpit BUT it is vital you understand what it’s showing you, especially with “radar” images. The time stamp on these images is NOT the true time of the weather condition and can be up to, if not older than 20 minutes. Thunderstorms often travel in excess of 45kts by-the-way. The NTSB recently released a Safety Alert about these weather sources. It can be found at the link below. instructors. Looks like a grueling lesson. What is an Agonic line anyway? 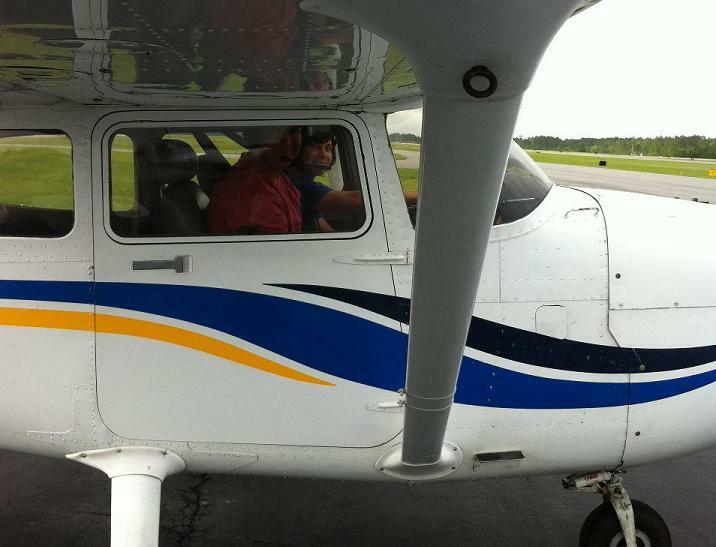 Posted by Valdosta Flying on Jun 8, 2012 in Blog Posts | Comments Off on What is an Agonic line anyway? Remember sectional charts? The latitude/longitude lines are drawn in reference to TRUE north however, the compass seems to prefer MAGNETIC north so we need to know what the difference is between true and magnetic north to accurately plan any given flight. The difference between the two is magnetic declination (pilots call it magnetic variation) and it is represented on sectional charts by magenta dashed lines with the amount of variation for the area labeled in degrees with an E or W after (remember “east is least, west is best” from your private pilot training?) Ex. KVLD is between 4 W and 5 W. By the way, magnetic north is a moving target. When I began flying in the Valdosta area, the variation was 3 W. These lines of variation are called isogonic lines and where there is no variation, the line is called an agonic line. It currently crosses our latitude (on this side of the planet) about 15 miles west of Biloxi, MS. These are not limited to sectional charts. Most modern maps will have some way of showing it’s user the difference between true and magnetic north. In our area, if you forgot to account for it, you’d probably still find your destination but what about the state of Washington? The difference there is as much as 20 degrees! Valdosta area for around ten years now.